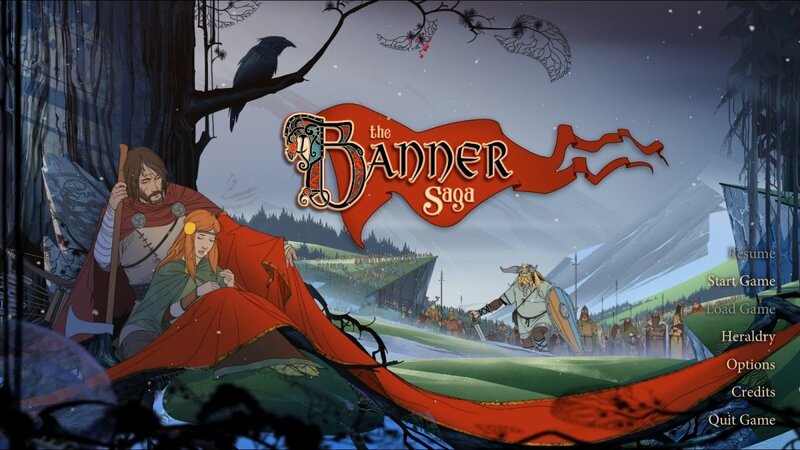 The Banner Saga owned by Stoic. Images used for educational purposes only. 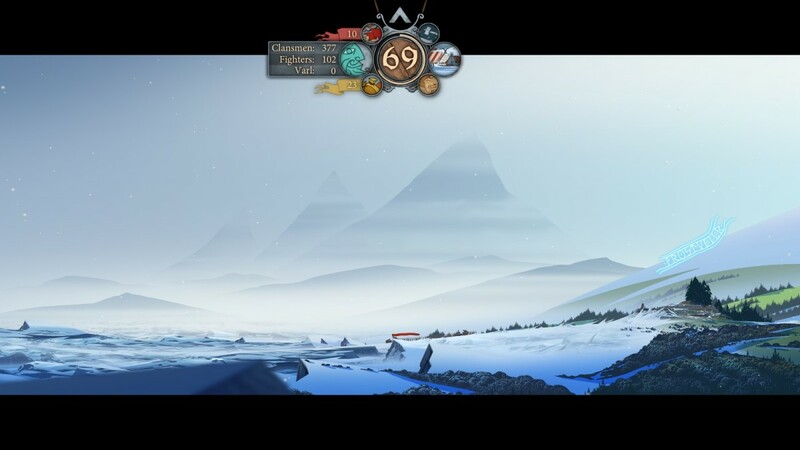 While travelling as Rook's caravan in Chapters Four and Six you'll occasionally come across random events. These range from bandits eager to steal food to odd little vignettes about members of your caravan. Depending on how you react to these events you main gain or lose important resources, as well as raise or lower the morale of your caravan. 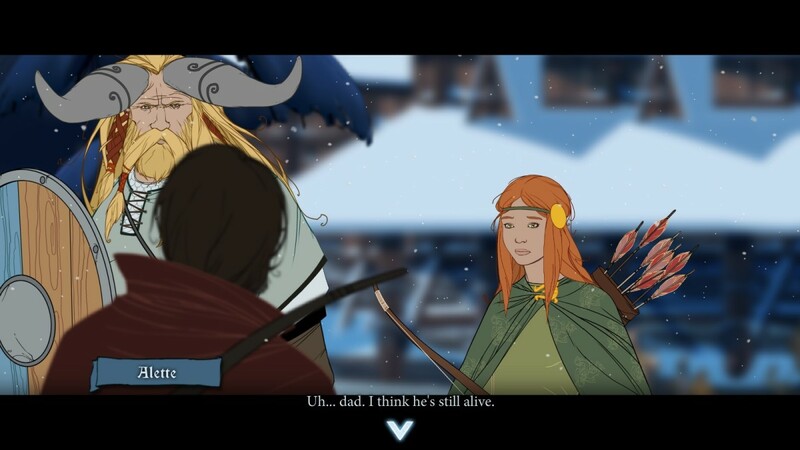 Below are the random events in The Banner Saga, along with the possible solutions to these events and what will happen if you choose one over another. 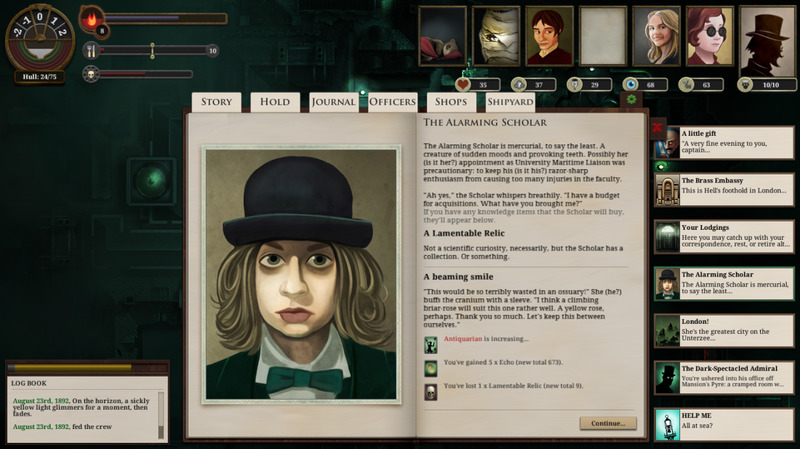 These events don't have formal names, though I've included the descriptive text of the choices from each. Use the Find or Search functions on your browser, as well as a snippet of the text, to track down the event you'd like to read about. Offer some kind of trade for the livestock - The farmer's unwilling. Intimidate the farmer into giving you the livestock - They'll hand their stock over, earning you 36 supplies. Alette is not happy with you. "Come with us, it's not safe here." - The farmer won't leave. Again, you'll have to threaten them to get the livestock. Leave the farmers and their animals alone - That's that. Post a few extra guards to watch the supplies - Most excellent. Ask clansmen if they've seen anything suspicious - Nobody's helpful. Sigh. Announce that any more missing supplies results in rationing - Well ain't that unfortunate. "Tell me if you see it again." - The woman becomes irritated. Shrug? Take a bite yourself - It's good! Gain 15 supplies. Discourage them from eating the fruit - What a downer. Observe someone who already ate some - A bit tipsy, but otherwise fine. Offer a piece to one of the animals in the caravan - Yum. Gather as much as you can - Wise. Gain 15 supplies. Accept the offer - Gain 20 supplies, but lose some morale. "Back away from these people or die" - Proceed to the fight below. You'll gain supplies and clansmen in the aftermath. "What's going on here?" Explanations! You can still choose one of the above options. Not a difficult fight, this, by virtue of the enemy's positioning. They have you surrounded, true, but this also means that it's easy to isolate and destroy them. Keep your team clumped together and make for the Archers first. Keep whittling down Strength counts as you go along until you run out of foes. Fairly simple. The most troublesome customer here is the Shieldmaster, as he's tough to kill, so send Iver in to trade blows with the guy. He'll lose Armor as he takes it off Iver. Let the argument play out on its own - Oooo, not good. "Worry on marriage another time!" - They aren't interested in this answer either. "Explain yourselves." - The argument is ended, though crabbily. Keep the women separated - Yikes. Anger. Leave it to a vote - They vote for banishment. Lose three clansmen. Try to discourage further violence - It doesn't work. Lose three clansmen. Investigate the death - The daughter is found to have died of an old infection. Lose one clansman. Banish the accused and her daughter - Lose three clansmen. Defend the varl - Gain one varl and 5 Renown, as well as a small morale boost. "Let us hear what the varl has to say." - Eventually learn what has happened; more decision-making needed. Return to the caravan without interfering - Nothing happens. Round up and question the children - No progress is made. You scare the kids. Question parents about their children - Promises to keep an eye on the situation. Sigh. Send scouts to look for anyone following you - Nada. Have the children watched carefully - Nothing is found, but no more supplies go missing. Send the younger brother and ambush them on the next trade - Success! Both boys are safe. Gain 30 supplies. Leave the others to their drinking game - Lose 10 supplies but regain some morale. "This will only make things worse." - Party pooper. Join the giants in drinking - Same as the first option. Leave food and medicine and walk away - The varl is unsympathetic at first, but he'll find you the next day, head clear, and join the caravan. You'll also gain 10 Renown. "We can help if you want it." - The varl will run off. Oh well. Try to have healers tend to his wounds - The varl will kill them. Lose two clansmen. Abandon the varl and move on - You already have lots of varl anyway. "We've already got enough mouths to feed" - He's left behind. "You're welcome to join if you can keep pace" - He joins the caravan. "Who are you and what are you doing out here?" - He calls himself Unnarr and demands one of the other two answers. "We'd appreciate any help." 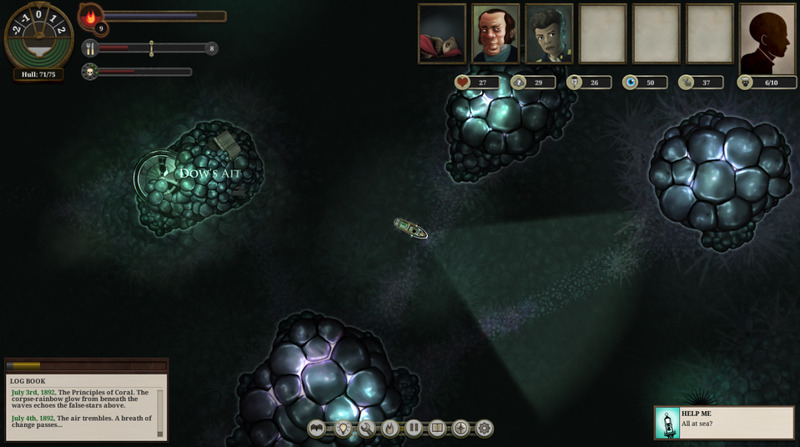 - Unnarr boosts everyone's morale and then provides you with 15 supplies before vanishing. Huh. "I'd rather not have any surprises." - No help for you, then. "What are you talking about?" - He storms off, and is not seen again. Join the crowd and cheer on the competitors - The morale of the caravan rises. "We need to stay vigilant." - You're such a downer. Ignore the poetry contest and keep an ear out for danger - The morale of the caravan rises. Join in with a verse of your own - Hilarity! The morale of the caravan rises. Defend the varl - Plus one varl! "Let us hear what the varl has to say." - Yep, he sure did kill that dude's daddy. You still have a choice to make. Return to the caravan without interfering - Off you go. Gain 5 Renown. Make a thorough search for lost clansmen - You'll find most of the missing clansmen, but not all. 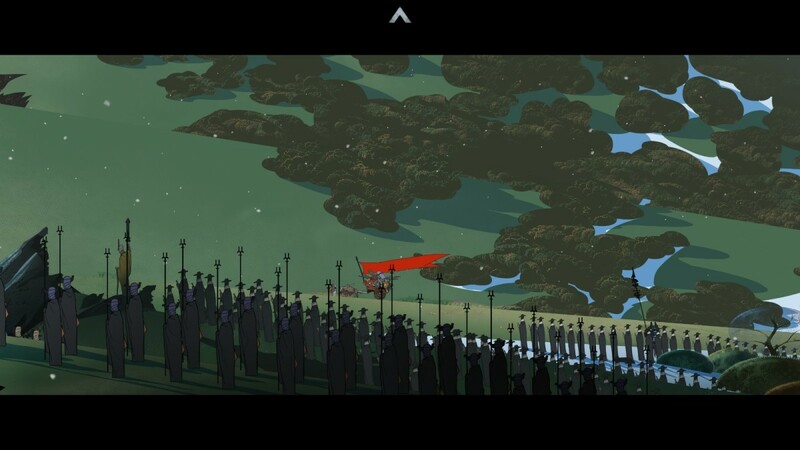 Ask volunteers to scout the immediate area - A few clansmen will return, but you'll still lose some. Move on, saying a blessing for the lost - Oh well. Lose some clansmen. Commit to an hour more searching before departing - Utter failure. Lose some clansmen. Call for a day of rest and celebration - Lose a day and some supplies, but gain morale. Congratulate the new parents privately - Gain 5 Renown. Offer the family extra rations as gifts - Lose some supplies, but gain 10 Renown. Do nothing special, allowing the mother and child some peace - Happy days, these. Gain 5 Renown. "Join us, but you'll be watched." 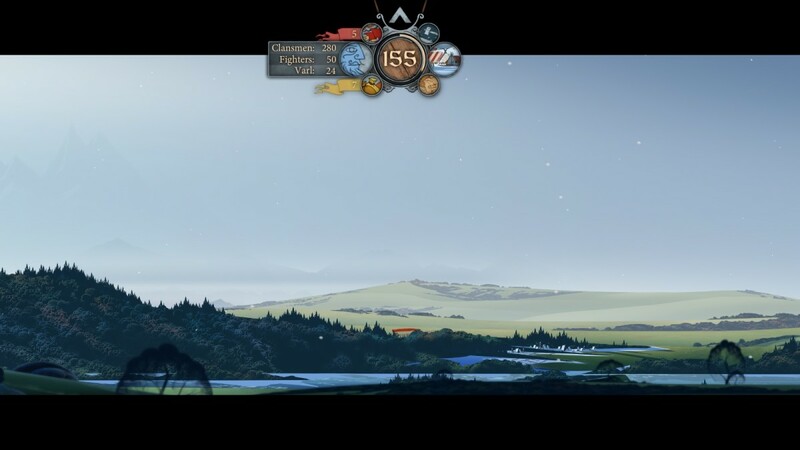 - Gain 10 fighters and lose some supplies. "What are your crimes?" - They provide the honest truth, guv. Send the outlaws away - Off they go. You'll still lose some supplies. Don't bring these guys on board. They'll run off with more supplies a few days later. Break the tension by making a joke - It works! Tension fades. "I'm impressed you've kept it together this long" - Tension remains. You're a jerk. Send the varl ahead in the caravan to put some space between you - The varl appreciate it, and the matter is dropped. "What is wrong with you?" - They explain. Tension eased. Offer no food, but inform them of the dredge - They are bandits. They want more. Ask them how they came to be here - They are bandits. Yeesh. "Fight with us and earn your food." - They'll join up - for, like, a day. Then a bunch of your food will go missing. Sigh. Decline to help the strangers - They're bandits! Offer them a few days worth of supplies - They may be bandits, but they'll accept your generosity and leave without a peep. "How about you leave what you've got, instead." - Attack! If Oddleif is still in the party she'll shoot the bandit leader, and if Krumr's around he'll be very amused. Inform them about the coming dredge - Now they really want those supplies. Attack! Do what they ask - Lose some supplies, but avoid the assault. Not that difficult a battle, so long as you keep grouped up in the middle and not allow the Backbiters to slash inward at your party with their special attack. The Shieldsman likes to go Stone Wall and ignore hits, so he'll probably be the last opponent to go down. Command the varl to help - They won't. You'll lose the boy as well as the supplies, and morale will suffer. Organize the peasants to put out the fires - You'll lose some supplies, but the boy will be saved. Go in after the boy yourself - He is saved; the supplies are lost. Make an effort to save the rest of the supplies - The supplies are saved; the boy is lost. Morale drop. This was helpful, since some of the more detailed walkthroughs on other sites fail to include *all* of the random events. Thanks! 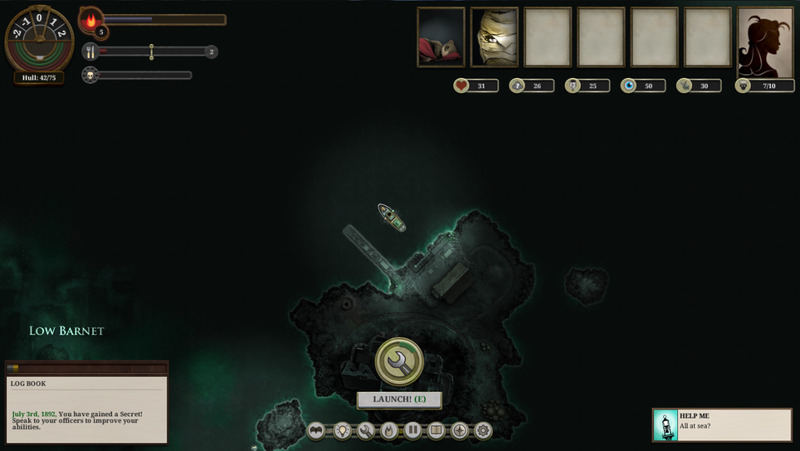 More Supplies Missing, and What Else is New: in the end you gain 30 supplies, but you loose 20 for an ambush itself, so your net gain is 10 actually. After patch on Normal Unnarr's help yields 20 supplies, not 15. Or maybe his help includes a bit of random. Petty problems in caravan: keep people busy, that solves squabbles and gives +15 supplies.